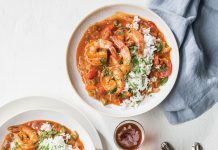 One of the most notable things about New Orleans-style barbecue shrimp is that it isn’t grilled. Rather, this decadent Crescent City classic is sautéed in a flavor-packed sauce. 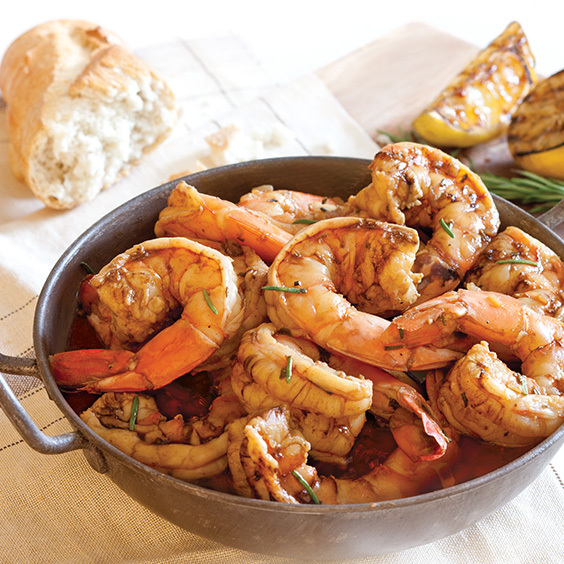 In many restaurants, New Orleans-style barbecue shrimp is served with the shrimp heads and shells left on, which further enhances the almost-hedonistic experience. Butter—and lots of it—forms the basis for the silky, luxurious sauce, and layers of flavor are added with rosemary, garlic, hot sauce, Worcestershire, and beer. 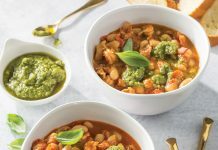 The result is bright and spicy, herbaceous and deeply savory, and with one taste, you’ll be hooked. 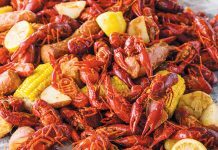 Invented at Pascal’s Manale—the 100-year-old Uptown New Orleans institution—New Orleans-style barbecue shrimp has grown in popularity to a point where it can be found on many of the city’s best menus. The spices and preparations will vary a bit depending on the chef ’s preferences, but the dish always delivers. *For testing purposes, we used Abita Amber. I think that is too many minutes under heat which will yield a shrimp you can not peel. Depending on the size of your shrimp the sec second process if boiling shrimp would be sufficient. Simply look for the gap between the neat and shell. Then it is done. Chill with ice to not overcook. Seasoning looks good though. That is a very good point, because overcooked shrimp can be very difficult to peel. However, in this recipe, the shrimp are peeled first, and it’s just the heads and shells that are boiled to make the stock. The meat itself is only cooked 4 or 5 minutes (or until pink and firm) at the very end. Read the other two comments, the recipe call for you to peel the shrimp first and using the heads and shells to make a stock. Shrimps are raw when added to the frypan!! Going to make these for our Muskoka trip this fall. They will go great with chessy Grits, Roasted Asparagus and Buttermilk Biscuits!! Any tips on how to reheat this if you can’t serve it immediately? Very gently. Since the shrimp are already cooked, you want to reheat them as gently as possible. We would warm the shrimp over low in a covered sauté pan.